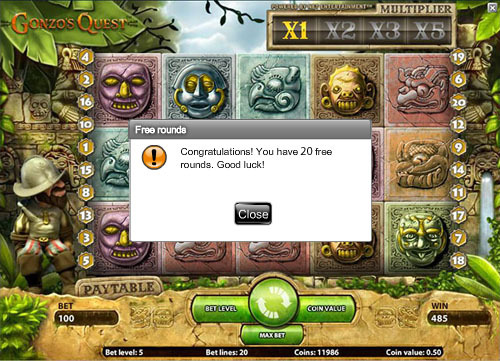 Grand Ivy Casino brings you NetEnt Games in all their glory and guess what? 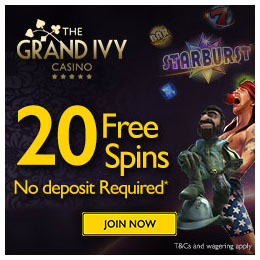 We have gotten together with Grand Ivy Casino to bring you an even better EXCLUSIVE offer than the last one we set up. 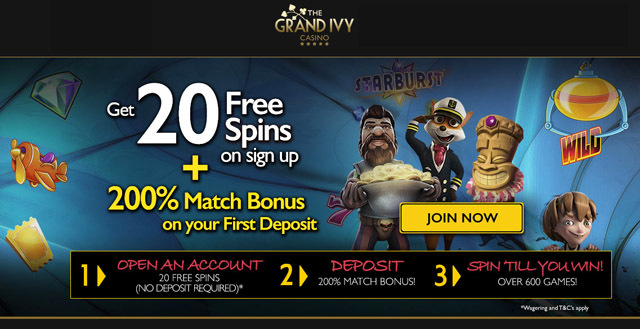 Grand Ivy Casino is operated by Caddell Limited which has spawned many NetEnt Casinos including Spin Station (which we also have an Exclusive 200% bonus running). 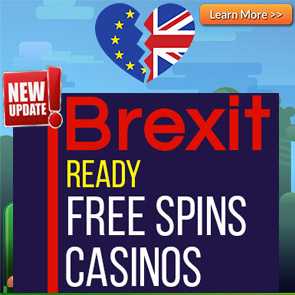 Grand Ivy Casino has a licence with the UK Gambling Commission and is a safe and secure casino offering desktop as well as mobile & tablet optimized play. 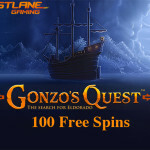 You will find over 600 games from various gaming providers including NetEnt, NYX NeXtGen, Amaya and Leander games. In terms of deposit options, Grand Ivy Casino has one of the widest selection of deposit options including VISA, Mastercard, Paysafecard, Neteller, Skrill, Sofort, Trustly, Giropay, DotPay and Bank Wire. In terms of available currencies, Grand Ivy Casino ensures that all the leading world currencies are available including: AUD, CAD, USD, GBP, EUR, SEK, NOK. You will also find all the big Jackpot Slots at Grand Ivy including Mega Fortune, Arabian Nights and the Hall of Gods Jackpot Slot which currently sitting at over €5.3 million. 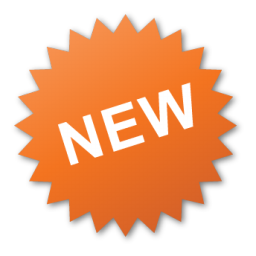 Instead of the normal BORING 100% match bonus, we’ve gotten you a bigger 200% Match Bonus. The minimum deposit is only £/€/$20 for you to be on your way spinning away. When playing with bonus money the max bet is £/€/$5. The wagering requirements are 35x on the bonus. All Slots Contribute 100% towards meeting wagering requirements except the following slots which contribute 20%:Blood Suckers, Dead or Alive, Devils Delight, Kings of Chicago, Jackpot 6000, Lucky 8 Line, Mega Joker, Super Nudge 6000, Big Bad Wolf, 300 shields, Secrets of the stones and Victorious. 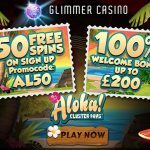 The maximum you can withdraw from the 20 no deposit free spins offer is £/€/$50. With regret, players from the following countries are not allowed to claim the first deposit bonus: Armenia, Poland, Greece, Hungary, Croatia, Ukraine, India, Russia, Czech Republic, Slovakia and Serbia. Posted in Grand Ivy Casino and tagged Grand Ivy Casino.